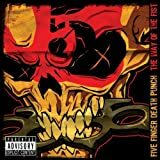 FIVE FINGER DEATH PUNCH WICKED WAYS LYRICS"
You've got an evil wicked way about you, I hate you! All Five Finger Death Punch - Wicked Ways lyrics are property and © copyright of their respective owners. All Wicked Ways lyrics provided for educational purposes only.